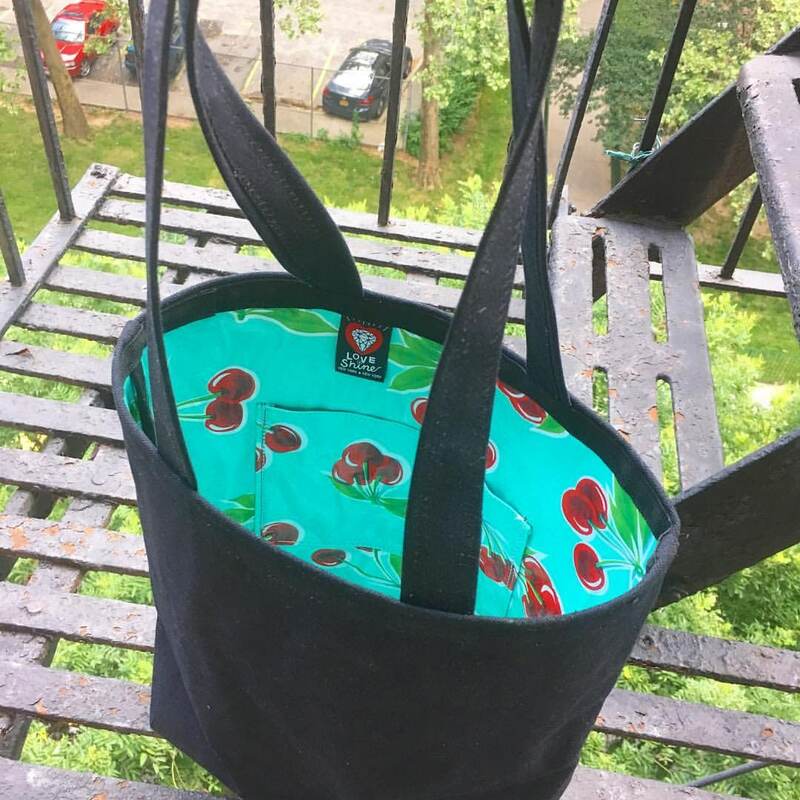 Canvas Tote Bag with Cherry Oil Cloth Lining. 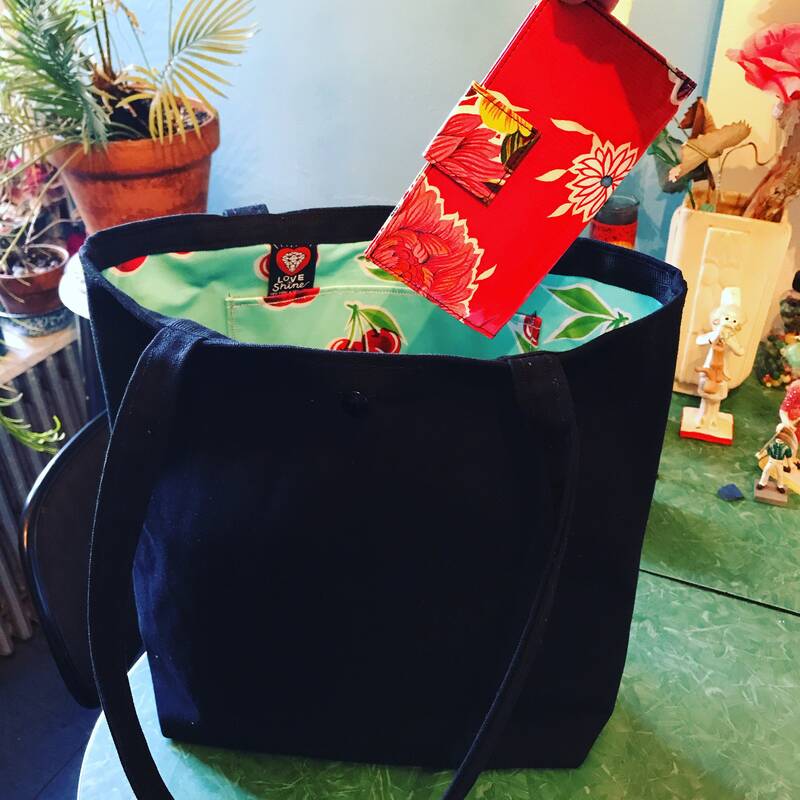 This heavy duty canvas tote bag is simple in design but big on fun! The interior is lined with retro oil cloth that has a kitschy cherry pattern on it. 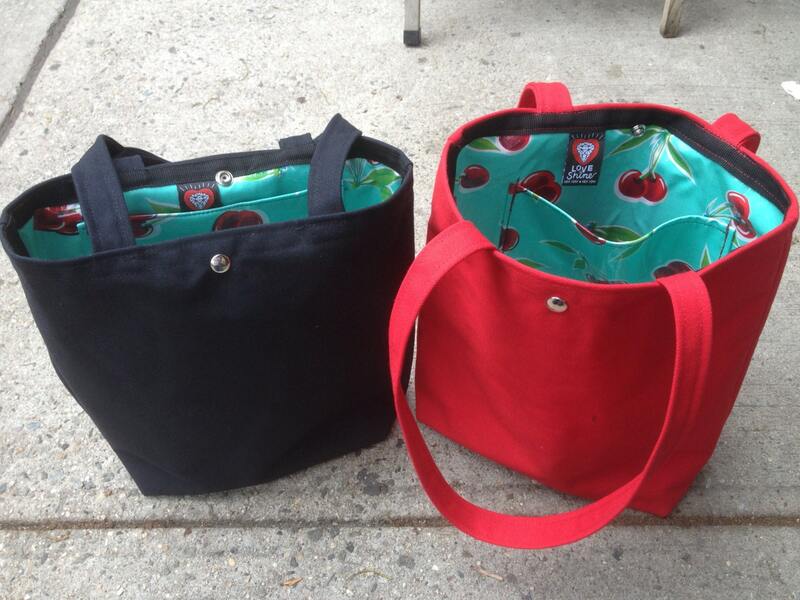 This bag is available in black, red or blue canvas exterior. There is one interior pocket. This bag is perfect for carrying gym clothes, groceries, baby items. Never worry about a spill, just take a cloth and wipe it right out. Please feel free to inquire about our oil cloth patterns in stock. we can customize the interior.